Is it OK to do things like this? 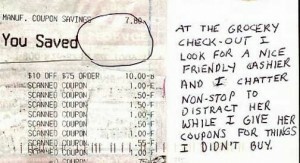 Are there gray areas that you think are OK when using coupons? Is it OK to get away with what you can? Why Do We Have To Pay Sales Tax on Coupons?